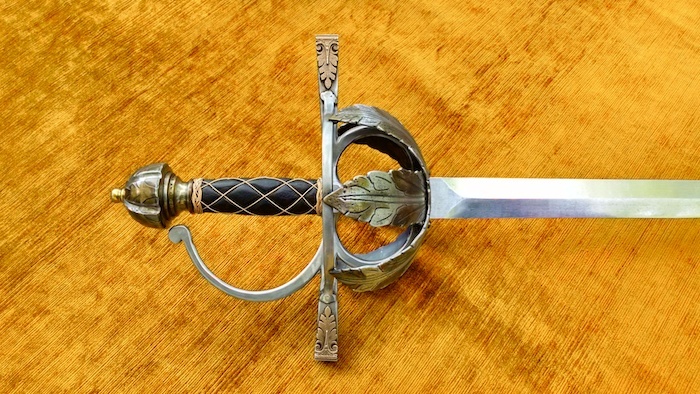 This is a custom rapier hilt I finished a few months ago, but never got a chance to post here. It was commissioned by a customer based on a pretty basic pencil sketch of the general form, so I made up most of the details. It's definitely not a replica of a specific antique. 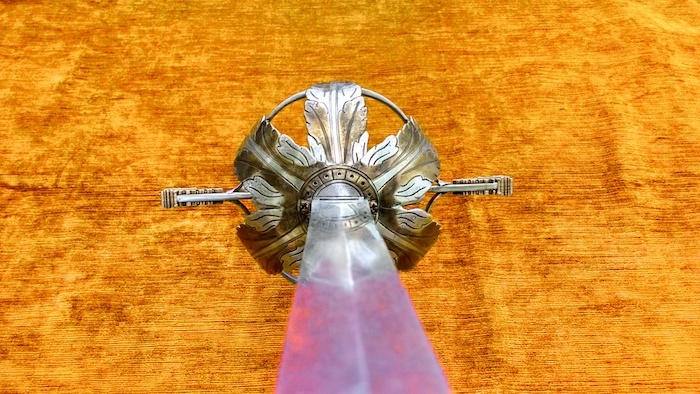 The hilt is steel, with the leaf elements etched, bent, and then welded to the side rings. 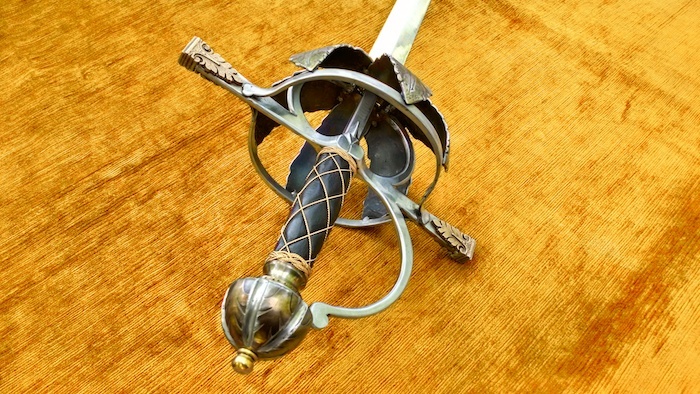 We went back and forth for a while about the "color palette"....grip, hilt, wire color, etc. 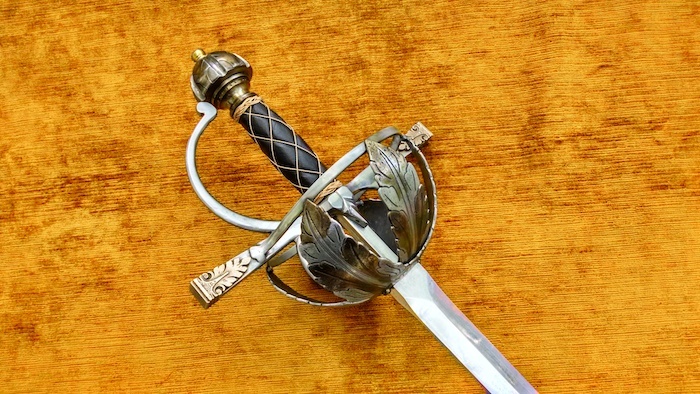 The customer was excited about the idea of playing with color on the cup hilt itself, so portions of the hilt are selectively brass plated. 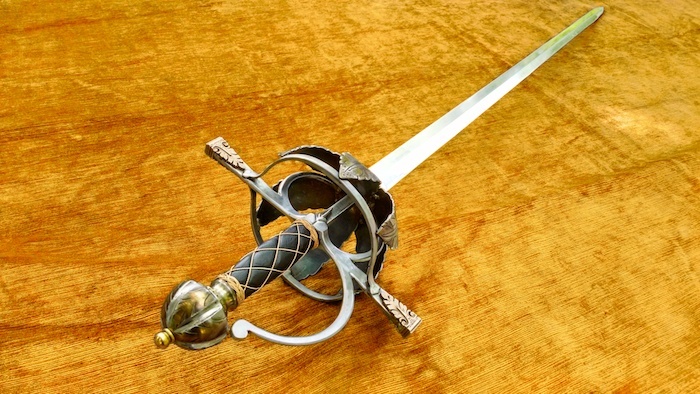 The pommel itself has a brass button, and the rapier quillons have 3-D printed Stainless Steel/Bronze caps that I designed and drew, and which are soldered in place. 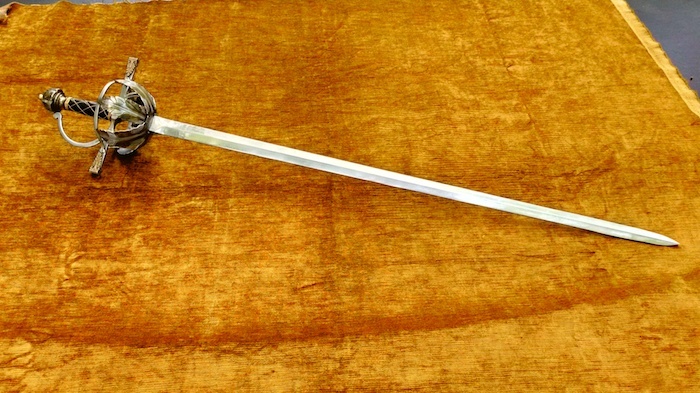 My client is a stunt performer, so this hilt was made to fit an aluminum rapier blade he already owned. It came from a batch out of Jody Samson's shop, and is still in need of some re-grinding....as is, it has very little profile taper and no distal taper, and as such is unnecessarily heavy. I posted a lot of process shots from this build on my facebook page, so if you're interested you can check them out there. Wow Jesse that's just beautiful! You did an incredible job with it. 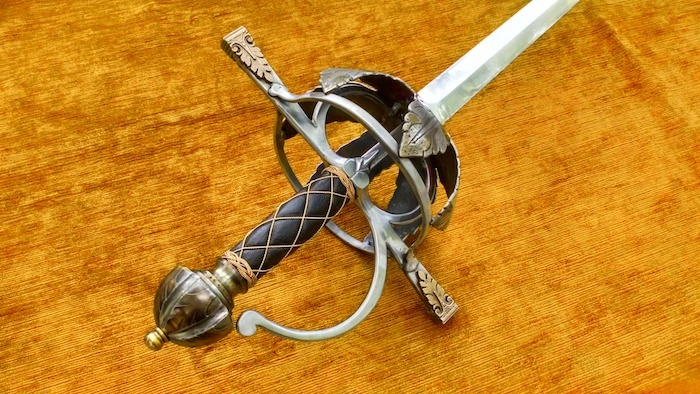 I am not normally a cup hilt fan but this is GORGEOUS. Well done! 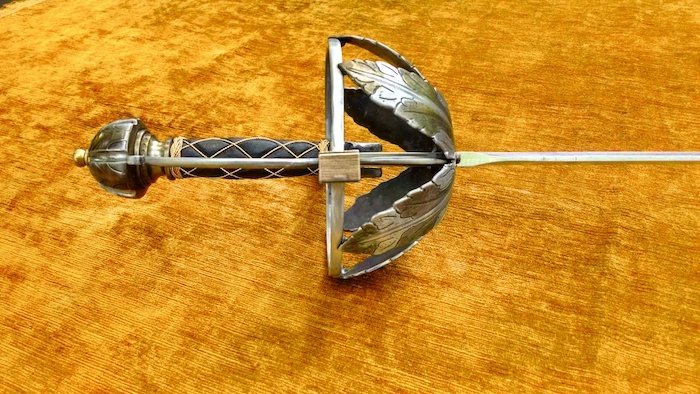 The rapier looks great Jesse. Your 3D printed fittings definitely add interest, but the real star is the leaf cup. Very nice.